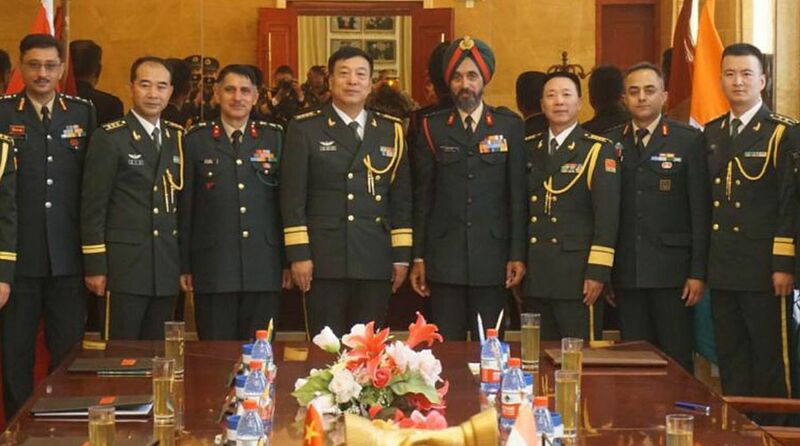 The Ceremonial Border Personnel Meeting (BPM) on the occasion of ‘China’s People’s Liberation Army Day’ was conducted on Wednesday at the Chinese BPM hut of Chushul-Moldo Meeting Point of Eastern Ladakh. According to a spokesman of the Army, the ceremonial BPM was marked by saluting the National Flags by delegation members. This was followed by the ceremonial address by both Delegation Leaders which included exchange of greetings and vote of thanks and reflected the mutual desire of maintaining and improving relations at functional level at the border. Thereafter, a cultural programme showcasing Chinese culture and traditional grandeur was organised. Both the delegations interacted in a free, congenial and cordial environment. The delegations parted amidst feeling of friendship and commitment towards enhancing the existing cordial relations and maintaining peace along the Line of Actual Control (LAC), the spokesman added. A number of steps are being taken to have better communication between the armies of the two countries, expected to exchange a series of high-level visits in the coming weeks.